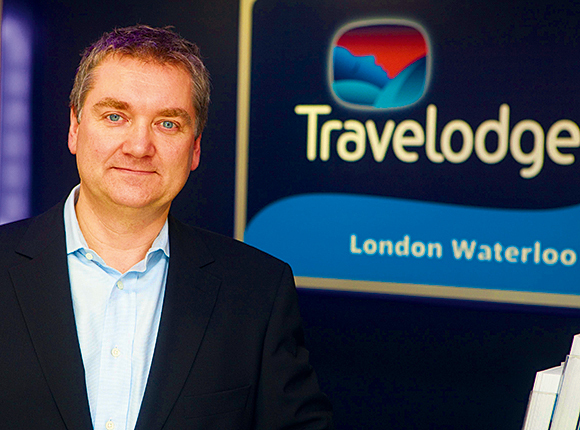 Travelodge CEO recently interviewed: My 3 observations. There's a great video interview in BigHospitality with Chief Executive Grant Hearn about how Travelodge plans to put some turbulent times behind them following a recent debt restructure. You can read the article and view the video in full by clicking here. Mr. Hearn mentions Premier Inn within the first minute 22 seconds of beginning his interview and goes on to discuss the focus that exists on that rivalry. There is a focus on that rivalry, but I suspect none more so than in his own Boardroom. And that's fine behind closed doors, but publicly you have to wonder why is the Travelodge CEO giving so much oxygen to his rival's brand? As a potential customer, I am reading an article about Travelodge, given by the Travelodge CEO and guess what? Premier Inn gets a mention even in the headline. That's gotta hurt. He goes on to state that Food and Drink sales are not central to the business plan as they represent "only about £30m" in revenues out of £400m in total. In a nutshell he says; "What's important about food and drink to me is actually... selling rooms." Again, as a potential customer, it leaves me wondering how good the food offer actually is if it doesn't appear a priority for the top man in the job? Or to look at it another way, is that kind of statement going to motivate all those bartenders, service staff and chefs on payroll now required to raise their game if Travelodge are to compete with 'those other guys'? There was mention of a new bedroom design. I had to play it a couple of times to catch it, but there it was in the last line of the article and referred to just once by Grant in the video interview itself. This may simply have been down to editing, but what a missed opportunity for the CEO (the main brand ambassador of the company) to talk more about these exciting new changes within Travelodge and how they will benefit future customers. He could have then clearly articulated the company's renewed focus on great food, drinks and service from the fantastic people working within the group. Of course, Mr. Hearn did say all those things. But, to paraphrase the old Morecambe & Wise gag, not necessarily in the right order. I guess he forgot to take off his CEO Strategy hat and put on his Brand PR hat for a few minutes. Within the boardroom, it is perfectly acceptable to talk about product, offer, ROI, strategy and even Premier Inn. In public however, surely the soundbites should be about customer innovation, service excellence, the brand experience and team spirit. Travelodge staff deserve to hear it from leadership, their competitors should start to fear it and most importantly their customers really need to believe it. Getting out of the Boardroom to focus on bedrooms. As it happens The Telegraph made a much better job of selling the virtues of that new room design with those impressive king-sized beds. I urge you to read it here to get the full picture of Travelodge's business roadmap ahead. It does sound exciting. I wish Grant Hearn and all the team at Travelodge every success in rolling out this new phase. The financial restructure was a risky piece of business that seems to have been pulled off successfully. This should give the group a sure footing during these continued turbulent months and years ahead. Mopping up after your competitor's mistake. Years ago in the early 90's, at the height of my parents' nightclub success, I watched their business continue to flourish despite a distinct lack of re-investment on their part together with the growing challenge of some swanky new clubs opening in the town of Bedford around that time. To my mind, it just seemed to defy logic. 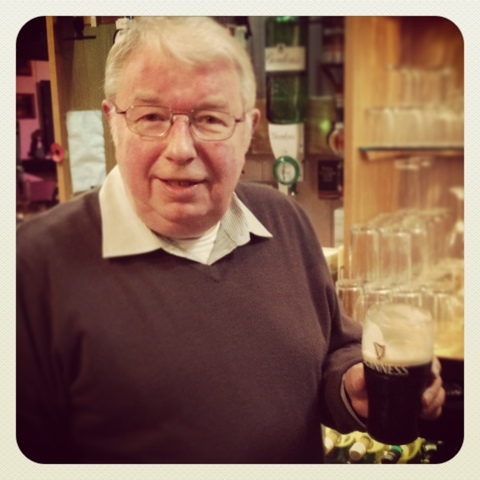 As he mopped the floor after one particularly busy weekend, I put the question to my Dad; "How come the 'Irish Club' still packs them in every week, while all these new clubs with their million-pound investments and top DJs seem to fizzle out after only a few months and we get all our regulars back?" He took a break from mopping the floor for a minute and gave me a terrific insight into how any business should assess their customer proposition. "Here's how I look at it," he said, "a fella leaves the house on a Saturday night and he has £35 to spend. It costs £3.50 for the taxi into town and he keeps £4.50 aside for the ride home. He'll want a bit of grub to eat later on too, so he'll set aside another £3 for that. So that's £11 on food and taxis which leaves him with £24 to spend on drink. He meets the lads in the pub and a pint costs £2.50, so he either sticks to buying his own or buys a round for his four mates and altogether spends between £12 and £14 before heading for the nightclub." "Now our friend has a choice... does he choose the flashy new club where it's one entry price before 11pm and a higher one after (but free for ladies before midnight, and a different price after that again). " "And even if he does choose to go in there with the lads, once he gets to the bar - with a tenner left in his pocket at this stage - he discovers the drinks are one price before 11:30pm but suddenly go up afterwards. So at any given time, this lad doesn't know for certain what he can get for his £10. It also means every round will be a different price for each of those fellas because of these so-called offers. And with all that investment, you can be sure it ain't cheap!" "Or... he can come to our door and if he's a member come in for free (EVERYONE was a member back then). Once he's in, he knows that every drink whether it's a pint, a bottle of beer, a shot, a short and or an alcopop is £2 all night. So that guy with the tenner in his pocket can confidently walk up to the bar and buy a round for himself and his 4 mates without having to worry about looking an eejit or tapping into that burger money he's saving for later on." As my Dad went back to mopping the floor, I realised that all the 'smart money' being poured into these new nightclub ventures was being wasted as long as they continued focusing on the wrong aspect of their customer experience. It didn't matter about the flashy DJs, state-of-the-art lighting systems or fantastic mixologists, who generally pull pints in Bedford, if all they REALLY have to offer is uncertainty. Customers need to know where they stand so they can make an informed decision. Without it, they'll just go and queue somewhere else. I'm about the head out into the rain and drive across from Oxford to Potton on the Bedford/Cambridgeshire border to my Dad's pub The Red Lion in Potton to help out on this St. Patrick's eve. (Hey, could that be a new Clinton Card idea?) He's got a bit of music on and he might dish up a few sausage and chips later if a few quid is spent at the bar. Anyone who has met my Dad, tells me he is one of the funniest pub landlords they have met. Personally, I'm kind of immune to a lot of his musings since I've grown up with the stress, hangovers, late nights, early starts, social sacrifices, rows, financial woes and general pointlessness of chatting to that lone regular in an otherwise empty pub as he sups pints all afternoon while talking sh!te until finally his hunger, his wife or his wallet interjects and gives him reason to go home. My Dad's favourite kind of customer as it happens. "A roll of money wrapped in an elastic band has been handed in at the bar." "I repeat, a roll of money wrapped in an elastic band has been handed in at the bar." "Anyone who has lost a roll of money wrapped in an elastic band, please make your way to the bar where you can collect your elastic band." "Sort it? Jaysus, I come from a long line of cowards you know!" "Were you watching the budget? Ah now, it's gettin' outta hand. I see they're putting the price of food up by 10p a pint..."
Let me leave you with this very funny video made by Neil and the lads at the Hop Inn Pub in Athenry. It coincided with the visit by President Obama to Ireland to celebrate his Irish roots... I love the queue of cars down the street patiently waiting for the filming to finish. How they think of them.. While tidying up my last post on that Tesco acquisition of Giraffe, I was surprised to note the backlash being meted out to the restaurant chain's founders, reducing Juliette Joffe to tears of despair as she defended the move in emails from 'appalled Giraffe loyalists' according to this article in the FT. I agree there is a lot of disdain for Tesco, and that is an issue for them to work through if they are to rebuild the nation's trust in their brand, but to take out such anger on hard-working risk-taking entrepreneurs like the Joffes - who simple made a VERY smart business decision - is just plain silly. From what I can see, they dared to dream and took a restaurant idea from a holiday napkin through to realising a £25m return on investment within just 15 years. That sounds like the kind of opportunity most people would snap your hand off for. Why shouldn't they sell to the highest bidder? And more importantly, what business is it of ours to berate them for it? After all, they have said they're staying on to oversee the expansion. At least wait and see. @mykitchensync great reasons for Tesco - not the consumer. Hunger for profit driven by giants corps = horsemeat! In response to my previous piece, the point was put to me this morning on Twitter that this might be a great deal for Tesco, but it's not so great for the consumer. I agree with the sentiment and certainly in this case, time will tell. For this deal to work for you and me, the Tesco Board should leave the Giraffe operation in the capable hands of the restaurant operators who started it in the first place. If anything the Board needs to keep a laser-like focus on the wider issue of Tesco's attrocious brand perception with the general public. I'm sorry, but A5 leaflets saying you're changing while STILL pulling products is not good enough. The company needs to get back to basics in delivering terrific customer service while concentrating on getting the supply chain, human resource and core business values right back to the top of the agenda. If you are going to turn the brand around, then do your marketing team a favour and work from the premise that you can't polish a turd. To Juliette and Russel Joffe, I say Congratulations to you both. Celebrate the success, persevere with the plan and ignore the spitefulness. After all.. haters gonna hate. Rumours had only just surfaced when it was confirmed that Tesco had bought the high street restaurant chain Giraffe yesterday for £48m in small change. 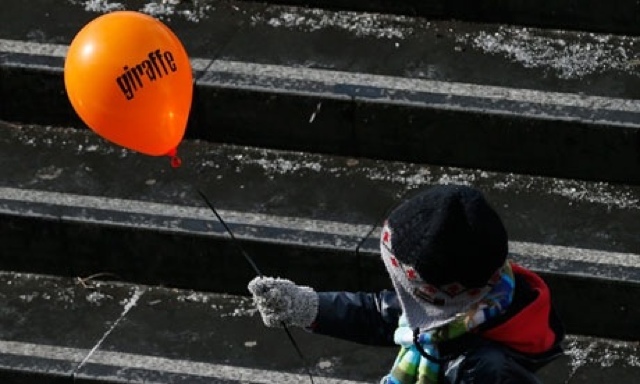 It was news met with surprise and a wry smile as people juxtaposed the thought of Giraffe in a world of Horsemeat news. The comments in this Guardian story really demonstrate Tesco's dire issue with their brand's perception. Through the Twittesphere, it has been mentioned that one of the minor shareholders in the Giraffe chain saw an eight-fold return on their initial investment, so the deal would seem like a no-brainer from that point of view. But what does the 800lb gorilla in the retail space get from such a deal? 1) In the very short term, it moves the consumer and press focus off horse (negative PR) and onto a more family-friendly message conjured up by the cuddly Giraffe (positive PR). As the acquisition beds in (pun not intended) Tesco will have a number of business gains to reap if they handle the mechanics of strategy correctly. 2) Giraffe restaurants can be introduced in-house into the larger Tesco Extra sites. This will drive footfall to their stores as families make the weekly shop more of an outing. This could be a key differentiator from their retail competitors in delivering a great shopping (and dining?) experience. 3) The high street chain of restaurants itself can be Tesco's testing ground for newly branded products that they might want to introduce in-store. Such a move has been hugely successful for Pizza Express and Nandos with all those shelves of product in a market that traditionally didn't exist years ago. 5) The Giraffe brand itself is fun, colourful and kid-friendly; the complete antithesis to the bland, soulless corporate image that Tesco desperately wants to shake off. Finally they have their Madagascar moment. 6) By introducing the Clubcard into Giraffe outlets, this will no doubt lead to further loyalty. Don't be surprised if Mums and Dads paying the bill at Giraffe get Tesco vouchers as a way of saying thanks. Again, driving store footfall. More importantly however it will give the retailer a whole new raft of metrics to study as they gently ease their way into the food service business such as they have done already with artisan coffee chain Harris and Hoole. 7) Come to think of it, will we see Harris and Hoole coffee being rolled out in Giraffe restaurants thus creating a kind of cross-pollinating sales eco-system? One hand effectively washing the other. Whichever way this turns out, Tesco are in a very good position to leverage this deal into something spectacular. By caring for and nurturing Giraffe's family customer base, retaining that colourful brand and continuing to invest in great recipes and supply chain values, they might just pull ahead of their competitors by a long neck indeed. Updated Saturday 16Mar13 to accredit photo, add a couple of links and generally tidy up this little post written and uploaded at 4am on my phone. Menu Engineering: My Top 10 Ingredients for a great Dessert Menu. With so many great tarts, pies and cake recipes to choose from, this should be a no-brainer. Bear in mind that guests like to choose something they wouldn’t normally attempt at home. And remember the golden rule: SERVE IT WARM! This gives the impression that it is straight from the oven, even if your dessert is bought in (and there are some good ones on the market). From Key Lime Pie to Passion Fruit Bavarois, a tangy light mousse-like dessert will always be a popular choice after a main course. Personally I love to savour the moment by enjoying this with a teaspoon. No self-respecting dessert card should go without a dream choice for Chocoholics. Keep it small, rich and luxurious. And remember a really good quality bitter chocolate pairs beautifully with Red wine… perhaps to finish after that steak? Old fashioned favourites will never go out of fashion. Serve them hot and with lashings of custard or some ice cream. Connoisseurs of a good pud will appreciate any nod to the classics. From an authentic Zugerkirsch Torte made with fiery Kirsch from Zug itself to a flamboyant Crepe Suzette flambé cooked at the table (isn’t it time this came back into fashion?). Or perhaps an understated, but perfectly executed Tart au Citron. A Creme Brulée to die for.. Personally, I always judge a restaurant on it’s Creme Brûlée. Why? Because with so few ingredients and limited presentation (this is a myth), there is so much that can go wrong. Right? But get it perfect and it’s a real treat. And don’t be afraid to throw in some flavours. Caramelised Roasted Hazelnuts or Berries soaked in rum can really lift a brulee out of the doldrums. Whether you offer a full cheese trolley presented at the table or a simple plated selection, no dessert menu is complete without it. - Here’s a strategy if you have a small operation and are worried about wastage. Choose 3 to 5 good quality cheeses across the range and offer them as a small slice paired with a drink that compliments their flavour. So a vintage stilton paired with a wee glass of Port, or an aged Cheddar with a small bottle of Ale. When I did this in my business years ago, I was amazed at the number of people who chose the cheese option because they fancied that particular drink to round off their meal. Give it a trial.. you might be surprised too. Are you making the most of your cheese selection? - A few for reference: In Winter think caramel, coffee, hazelnut, peanut, pistachio, cinnamon, clove, baileys, whiskey or almond as flavour bases. In Summer think orange, lemon, lime, vanilla, cardamom, lavender, raspberry, strawberry, passion fruit, mango, banana, Malibu, cointreau and blackcurrant as flavour bases. Hopefully this advice will give you some inspiration to go back and revisit your dessert menu to see where you can maximise your sales. And don't forget to keep checking back as I have a few more menu engineering tips to share with you soon, including a Price Point Strategy and, in answer to a great question from Jenny on LinkedIn, the impact your Font choice can have on your guest's perception. In a previous post, I talked about the importance of having a great introduction on your menu. Suddenly, this gives the feeling of having a conversation with the owner. Now, you ask, which dishes should I try to further the experience. The best way is to highlight certain dishes is with a ‘Recommended’ symbol. But it is a minefield. Yes, they have to be dishes that will work best for your business in terms of revenue, but they also have to work for the guest in terms of quality. Balancing that customer satisfaction with meeting the targets of your bottom line is a very tricky business. A great example of Recommendations influencing choice. To start with, every chef will say that ALL the dishes on their menu are good and will naturally gravitate towards the ones they like to eat. But let’s take a hard-nosed approach for a change.. Which dishes are super-popular and bring people back for more? A bit obvious, but surprisingly it’s not necessarily the dish the Chef thinks it is. He might think it’s his fantastic Duck a la whatever-he-calls-it, when in fact it’s the lemon tart served after he’s gone home. That’s why patissier’s rule! Which dishes are really straightforward to prepare in terms of mise-en-place? The dish looks good in terms of food cost, but it might be killing your labour budget. At St Cross College, our chef loves to serve soup for big functions. Makes sense… doesn’t it? The problem is a waiter can only carry two bowls to a table, so I need more staff. By encouraging the chef to change to a risotto for example, the waiter can carry 3 bowls. Now we can serve 120 guests with fewer staff. Which dishes are easiest to dress on or have plated during service? Prepare for success by making sure you don’t get a traffic jam at the stove. It may be popular with the guests, but not if they have to wait for an hour for it to be served. Which dishes use the least expensive ingredients? Sometimes a dish can be just that simple; cheap and easy to prepare. Nursery dishes and homely classics will never go out of fashion it seems. So don’t overlook them in favour of celebrity ingredients. In terms of dietary requirements, which dishes appeal to the widest audience? This is especially true in banqueting or for weddings where pork, shellfish, beef, horse (couldn’t resist) or fois gras are best avoided, unless of course you know your audience really well. Which dishes are priced the most expensive on the menu? One lesson I learned in my restaurants in Kathmandu is that people love to show off. To flaunt their wealth. So let them. Sometimes it does make sense to recommend the most expensive dish. Here’s a sneaky one: which dish requires one or two sides to make it complete? The dish itself might seem reasonably priced, but throw in a couple of sides and your bottom line is looking good. Sound familiar? Another bonus one: Which dishes offer supplementary upgrades? e.g. Prawn vs Lobster Surf n’ Turf? So you recommend the basic version and allow guests to ‘upgrade’ if they wish. What’s wrong with that? And would the Chef know which dishes promote the sale of some great wines? This is where good restaurants become great. Involving the sommelier, the maitre d’ and the chef in the conversation will really drive sales. A very delicate terrine, will encourage the sale of a Premier Cru in the hands of the right Sommelier. But if you allow the Chef to recommend his homely soup, which probably is great and ticks lots of boxes, you do lose the opportunity to upsell on your wine. I know there are a lot of analytical tools out there to help you arrive at the right recommendation list, but here’s what we did at my place in Kathmandu. We monitored sales over a six week period. Then we costed EVERY SINGLE dish. Next we got the Heads of Kitchen, Dining Room, Bar and Accounts around a table and we thrashed out the merits of each dish on whether it should be recommended or not. What we learned was that, our two most popular main courses happened to be our least profitable. (And it’s hard to put the price up when competing with the hundreds of restaurants nearby). We decided to keep them as ‘Recommended’ because people would choose them anyway, and they’ll come back for more if they do. However we offset that with a couple of delicious starters that were surprisingly inexpensive to produce. Our secret weapon however is our dessert menu which we believe is the real differentiator between us and our competitors in Kathmandu. That will be the subject for another post soon. This is a brief post, but it is vital in getting those extra sales ringing through that till. If you have an engaging introduction set out in a nicely presented menu, people will naturally go on to browse it from beginning to end. During that time, they’ll probably want to order a drink. And since they also feel peckish, I'm guessing they wouldn’t mind a little snacky-bite (as Mrs. K calls it) before they err, eat. I now I usually do. I mean, think about it: The table have mostly arrived, but they’re just waiting for one more guest. So you give them the menus and they start reading the intro (‘Wow, what a great story, I’d love to do that’) and perusing the recommended dishes (more on that in my next post). Congratulations. You just gave them an opportunity to spend some money. Simply put, browsing the menu is a fantastic opportunity to up-sell. From Olives and Breadsticks to Mini Fish and Chips and Smoked Salmon Canapés. The list is endless. *Why make them expensive: because people who choose expensive snacky-bites while they browse the menu are making a statement of intent. They intend to enjoy themselves, whatever the price. So serve them up quick and get ready to follow suit on the wine and supplements. *There is another reason to make them expensive, which I learned the hard way. Some diners will have nibbles INSTEAD of starters! I know, right? It’s a little annoying when it happens, but console yourself in the knowledge that you made good margin on the snacks they did order. Once those drinks and nibbles are on the table, you're next question is; What steps have you taken to influence their food choices that work for you? Check in with my next post to find out more.